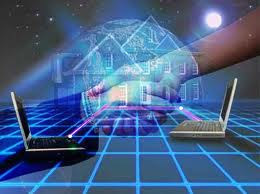 The Virtual Assistant (VA) industry is growing fast and becoming a popular for those who want to run their own home business to get started - usually by doing the things they have done well in the past for prior employers. It's a business that lends itself to low startup costs and one that can be started on a part-time basis. In short, this is an area that is seen as trendy with a good deal of growth potential. You can start your business with very limited funds. You can use the same skills you have used in the past for prior employers and then expand your offerings or specialize. The Virtual Assistant industry is growing rapidly and demand is expected to remain strong. Income potential is strong. Typical virtual assistants charge from about $35 to $75 per hour, depending on the type of services offered and/or the skill level of the virtual assistant. You have a fairly high level of control over which hours you work and how many hours you work each week. Finding initial clients may be a challenge, as it would be with any business, but the challenge can be met by using creative marketing techniques and through networking by joining a VA group, introducing yourself and offering your sub-contracting services. As your business grows, it's likely that your equipment needs and expenses may also grow. Like any home business, you are responsible for paying your own taxes, securing your own health insurance, etc.